It's missing is you. 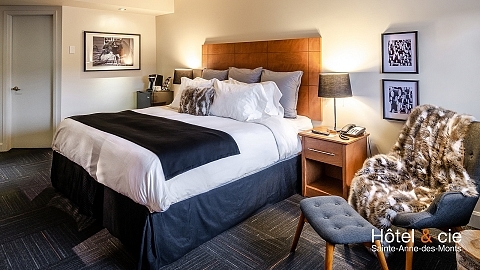 The adventure starts here at Hôtel & cie.
Only four star hotel in Sainte-Anne-des-Monts, in the heart of downtown, Hôtel & cie provides easy access to all services, shopping, entertainment and attractions surroundings. 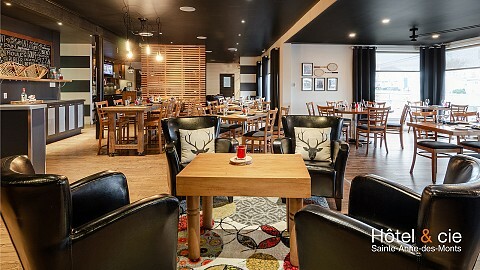 On site, the restaurant La Broue dans l'Toupet Bar & Grill showcases regional products through different dishes of game, fish & seafood. Hôtel & cie is the current reflection of a vibrant area with lots of novelties. 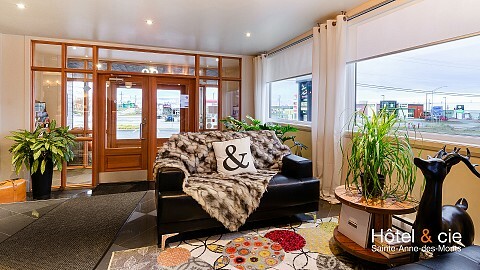 Room decor style "boutique hotel" combines comfort and functionality. In Gaspésie, life is simpler and the people are relaxed. The area is known for its breathtaking coastline, vast natural spaces and authentic experiences. Missing only you and the adventure begins here at Hôtel & cie.
Petit-déjeuner, lunch (Monday to Friday) and dinner every night.